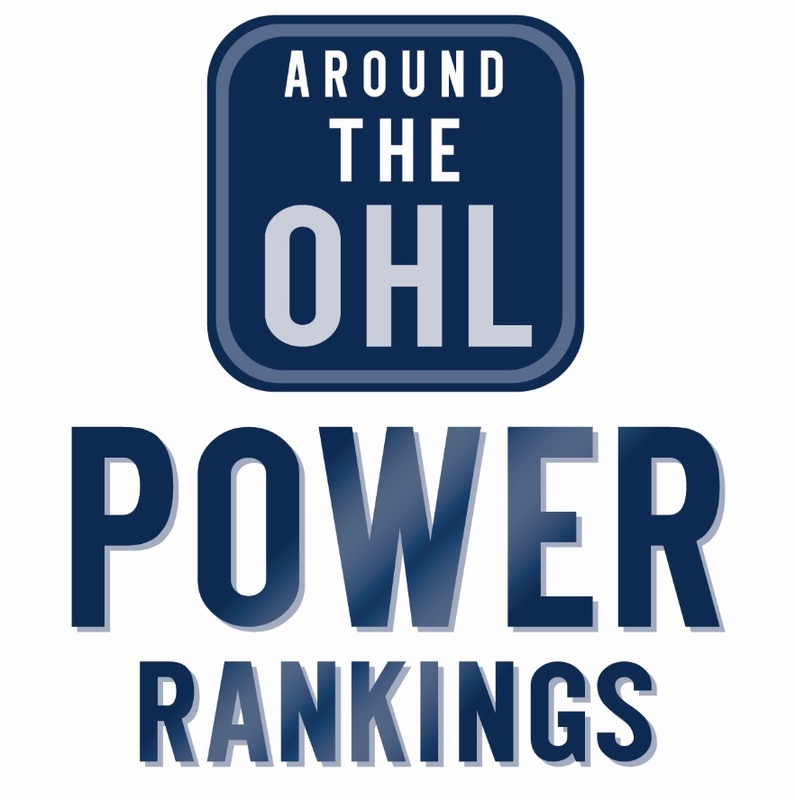 AOHL will release monthly award winners throughout the season with honourable mentions. The award categories are as followed: Top 16-year-old, Top First Year Player, Dman, Goalie, overager and player of the month. Here’s a list of the October AOHL Award Winners. A number of players were worthy of this award but Dvorak’s 16 goals (four game winners) and 30 points sets him apart from the rest. The Knights scored a league high 57 goals in 10 November games, winning all but two contests. Dvorak led a high powered offence that scored nine or more goals on three occasions during the month. The Arizona Coyotes prospect is looking to build on his 109 point season last year that saw him score 41 goals. He’s scored 25 in 25 games this season and is one of eight OHLers at USA Hockey’s WJC selection camp. Dvorak was an honourable mention for the award in October. Travis Dermott of the Erie Otters. Photo by Terry Wilson / OHL Images. An impressive month of November for the Toronto Maple Leafs second rounder that saw him score a goal and add 14 assists in a dozen games. Dermott had a pair of three assist games and also a 4 assist outing against Oshawa. He led Erie to an OHL-best 11 wins in Novemeber. Dermott is one of 13 OHLers who were invited to Canada’s WJC selection camp. Mackenzie Blackwood of the Barrie Colts. Photo by Terry Wilson / OHL Images. Its hard to argue against Mackenzie Blackwood’s performance during the month of November, posting a 8-2-0 record with a 2.00GAA and .942sv%. What’s most impressive for Blackwood was like his workload, more often than not facing 30+ shots in the Barrie net, facing 328 during his 10 November starts. Blackwood will be with Canada at the World Juniors. After registering just two points through his first 10 OHL games Robertson seemed to find his scoring touch during the month of November. The fourth round pick out of the Don Mills Flyers organization scored four goals in his final four games of the month. It wasn’t an easy call to give Robertson the nod over Lodnia and Keating but the fact he was a fourth rounder and continues to play big minutes for Paul McFarland’s hockey club speaks to his development over the first few months of the season. Studnika will continue to play a major role in the success of the 67’s, much like he did in November. With the majority of focus on captain Travis Konecny and Dante Salituro, Studnika has an opportunity to fly under the radar a bit. The Tecumseh native is good in both ends of the ice and winds more faceoffs than he losses. His 12 goals this season are tied for second on the team, and is just six shy over his career high from last season. He’s played well over 200 games over five seasons with Ottawa and Windsor. Tags: Barrie Colts, Erie Otters, Hockey Canada, Kingston Frontenacs, London Knights, November AOHL Awards, Ottawa 67's, USA Hockey. Bookmark the permalink.